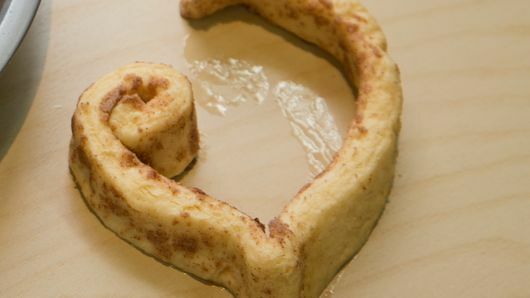 Carefully unwind each roll into long strip of dough, leaving center coiled. Coil the unrolled end of each strip in toward center, making two equal coils. Pull middle of strip down to make a point, forming heart shape; pinch point. Place in pan, points toward center. Bake 13 to 15 minutes or until golden brown. Cool 5 minutes before removing to cooling rack. 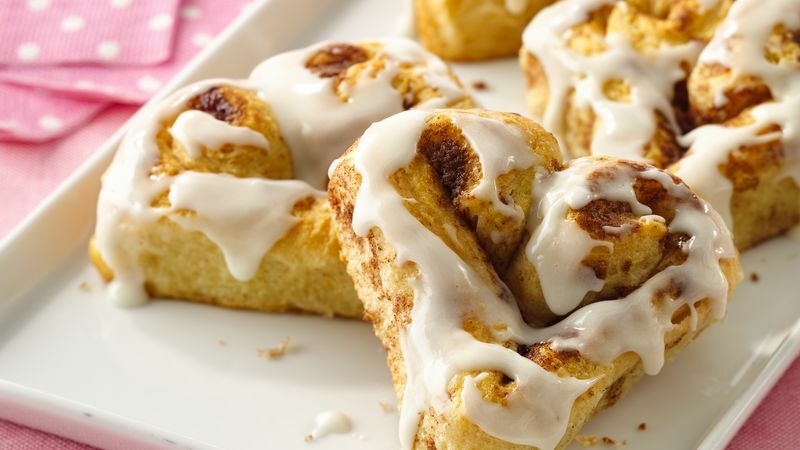 Spread frosting over warm rolls. For best heart shapes, keep the coiled pieces as similar as possible.